The end of the year goes like this: Christmas shopping, more Christmas shopping, countless buffets, and before you know it, you’re at the biggest bash of the year. New Year’s Eve has charm that only comes around once a year; the glitter, champagne, party hats and the promise of resolutions. This year, we’re throwing mojitos and cigars into the mix. The St Regis Kuala Lumpur is one of the city’s most prestigious hotels. And they plan on showing it too, with a New Year’s Eve agenda to rival other spots in the city for the best view. From the Cuban-themed Havana Nights to the longest fireworks display in Kuala Lumpur, it’s going to be spectacular. The hotel’s famous Astor Bar — known for being the location where a scene from Crazy Rich Asians was shot at — is the place for anyone looking for something subdue yet exciting. Akin to a glamorous New York-style dimly lit bar, the menu features an extensive list of wine, whiskey, gin and champagne, which you can sip on as you sink into plush leather sofas with a cigar in hand. The Astor Ballroom will be transformed into a Cuban-style “Havana Nights” gala dinner. Dress the part, and rumba the night away on the dance floor. But first, a few ice-cold mojitos to get you going. You can even learn how to roll cigars at a special station set up for the night. 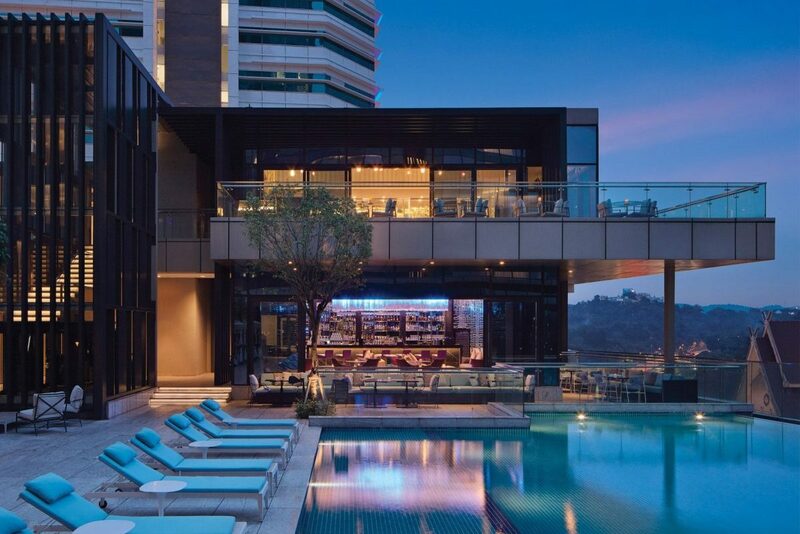 Break free from the clouds of cigar smoke at the rooftop bar, Crystal. The highlight of the night (and the year) is the show of 600 shots of fireworks hosted by The St Regis Kuala Lumpur. At 10 minutes long, it’s the longest fireworks display in town! There will be dancing, music, and cabanas for exclusivity. The St. Regis Kuala Lumpur, No. 6, Jalan Stesen Sentral 2, Kuala Lumpur Sentral, 50470 Kuala Lumpur. For enquiries, call +603 2727 6690.